Home » Uncategorized » Rugby and fun in the sun! Great rugby action, fantastic crowds, a carnival party atmosphere with top class entertainment, all played in one of the most glamorous destinations in the World. The World Clubs 10s in Mauritius is set to become an event not to be missed, and sure to be remembered by everyone who comes and joins in the party this June. 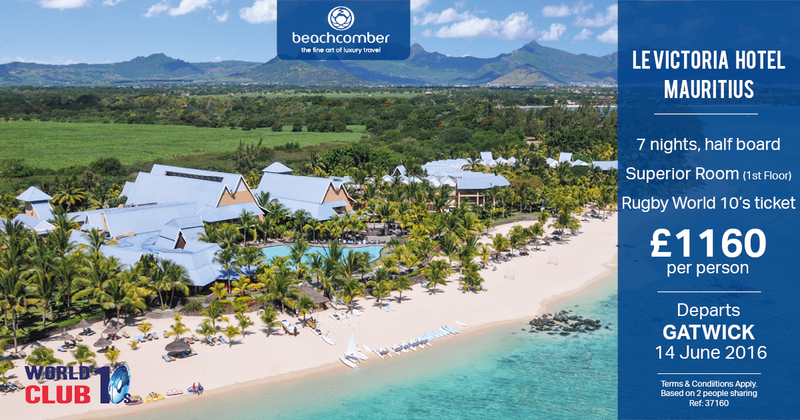 We have teamed up with Beachcomber Hotels, one of the event’s official sponsors, to put together a number of exclusive supporters packages at four of our hotels which are ideally located near to Anjalay Stadium. 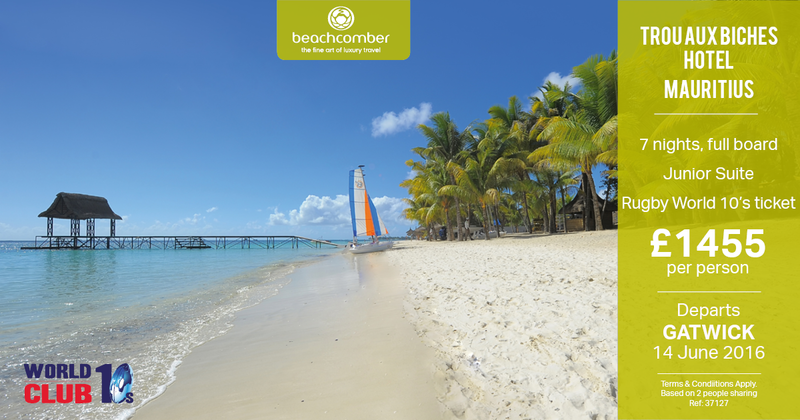 These include a 7 night tour from £1,445 and a stay in the Le Canonnier resort from £1080. The event is being held on June 18-19, but these packages give fans the chance to take in the tournament and have a fantastic break in this incredible destination. For full details of the four packages on offer, simply click on this Crusader Travel Rugby Club link. Call us on 0208 744 0474 to book or for more information. As you’ll see from there, this is truly a great offer for rugby fans and those who want a chilled out getaway combination. With golden beaches and tropical weather it’s not something you’d associate with rugby in the UK!